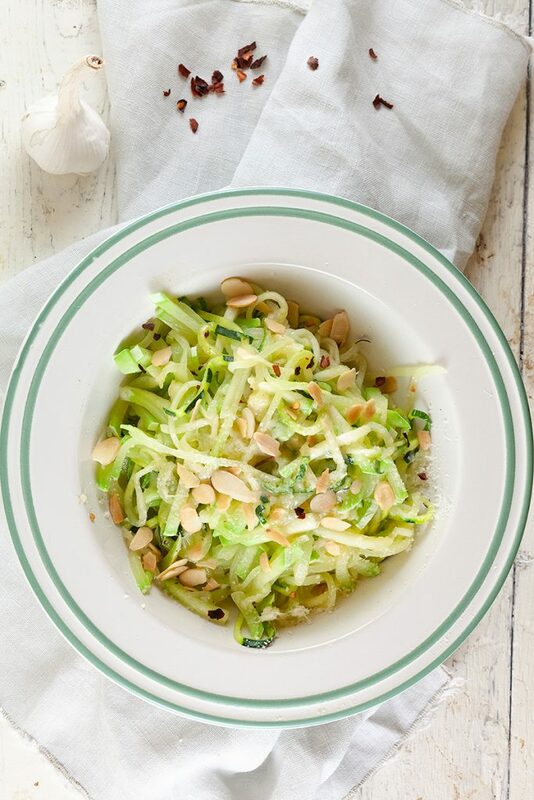 *Note: you can also use any other kind of zucchini, a summer squash has a light sweet and nutty flavor. 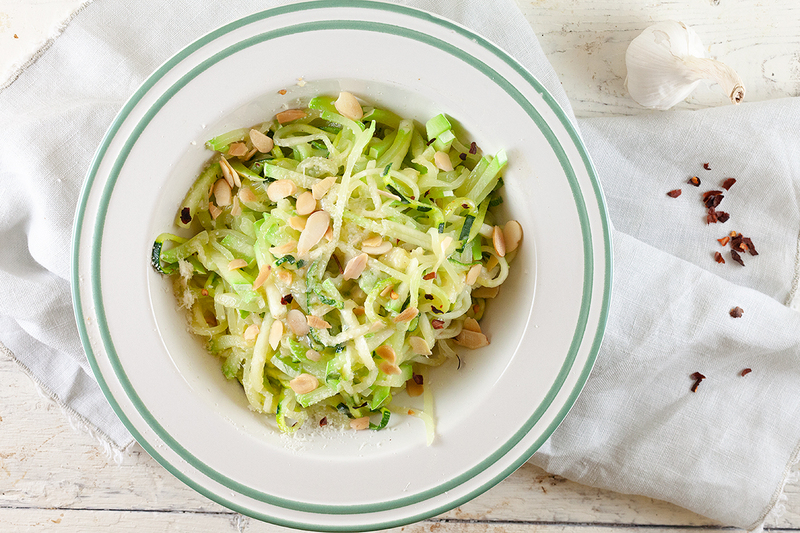 RINSE the summer squash and divide into thin strips, you can use a chef’s knife or spiralizer for this. ROAST the almond shavings in a dry skillet and transfer them to a small bowl so you can use the skillet again. PEEL the garlic cloves divide them into halves, no need to finely chop them. HEAT a dash of olive oil in the large skillet along with the halved garlic. Let it simmer on low heat for a few minutes and then remove the garlic. ADD summer squash to the skillet and cook for a few minutes on high heat. SEASON with pepper and salt and stir in half of the grated cheese. 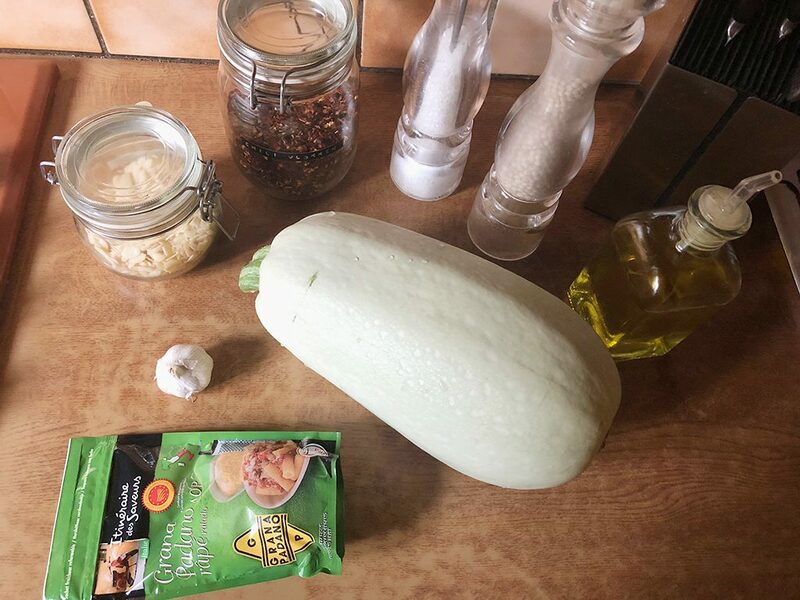 ADD a pinch of chili flakes, be careful because the squash will absorb the flavour easily. 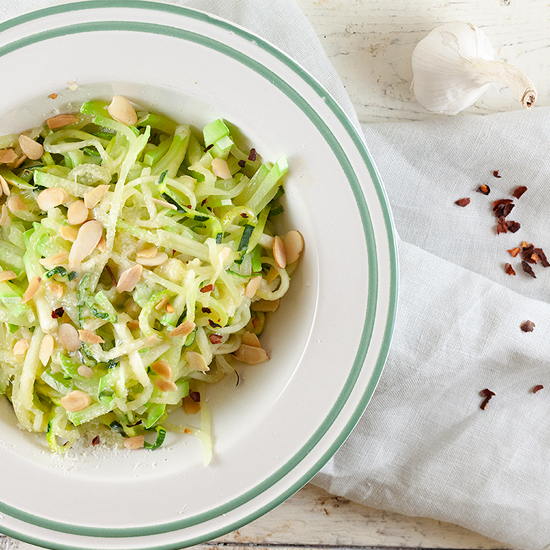 SERVE this delicious and easy side dish with more grated cheese and almond shavings. Enjoy!